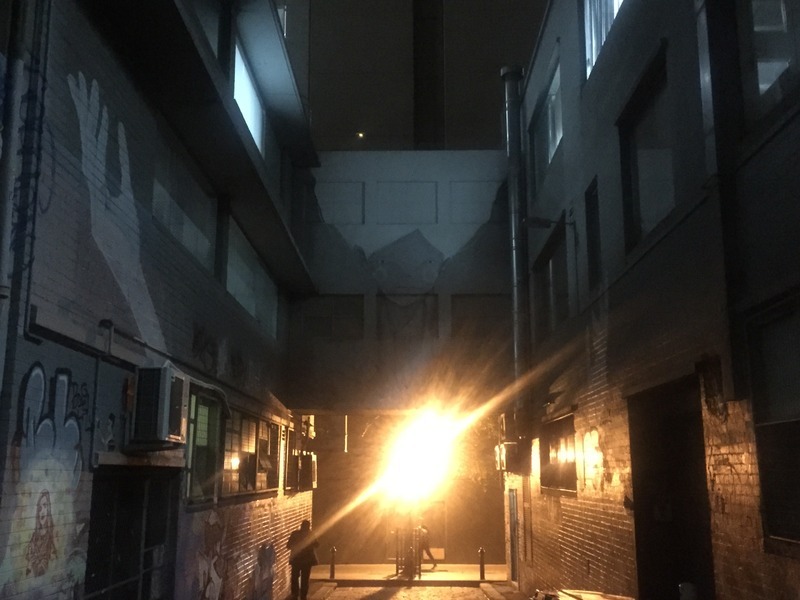 The section of Literature Lane to the south of Little La Trobe Street presents two artworks that exemplify the transformative nature of night and darkness. To the west, a mystical woman lords over a walkway, her arms open wide. During the day, she appears light and airy, floating above the shadowy walkway underneath her. However, at night a bright streetlight beneath the artwork becomes a vital part of it, creating a powerful contrast between the light's warm orange hues and the woman's dark greys. The light adds two layers of depth to the artwork, encouraging the audience to develop their own interpretation of its meaning. Firstly, the light could be interpreted as the woman's heart, glowing bright beneath her grey skin. Secondly, the light could be interpreted as fire, adding a threatening dimension to the piece. This reflects the way street art is inherently shaped by its dynamic surroundings, often in ways beyond the artist's initial intent. 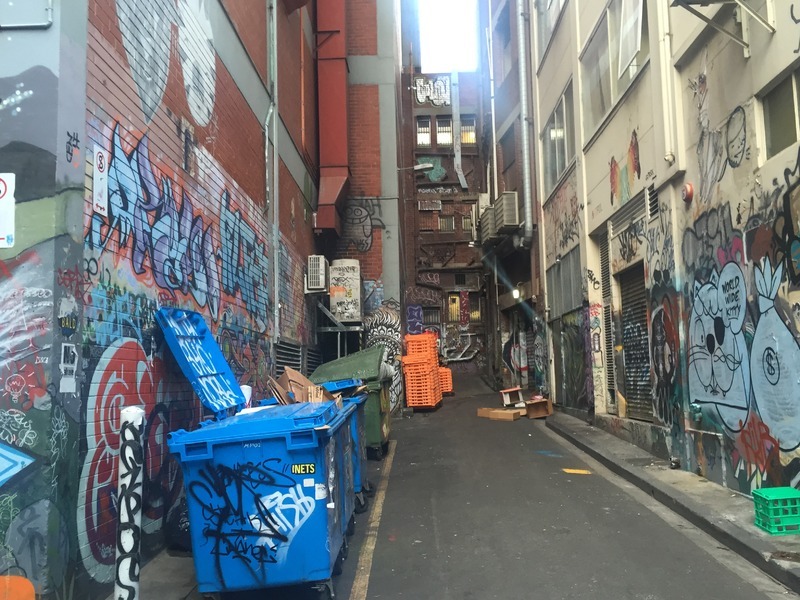 The east of the laneway looks onto dumpsters and backs of shops, that have become part of an eclectic collection of street art. At night, one piece, a native American headdress, shines bright, reflecting the bright streetlight opposite it. 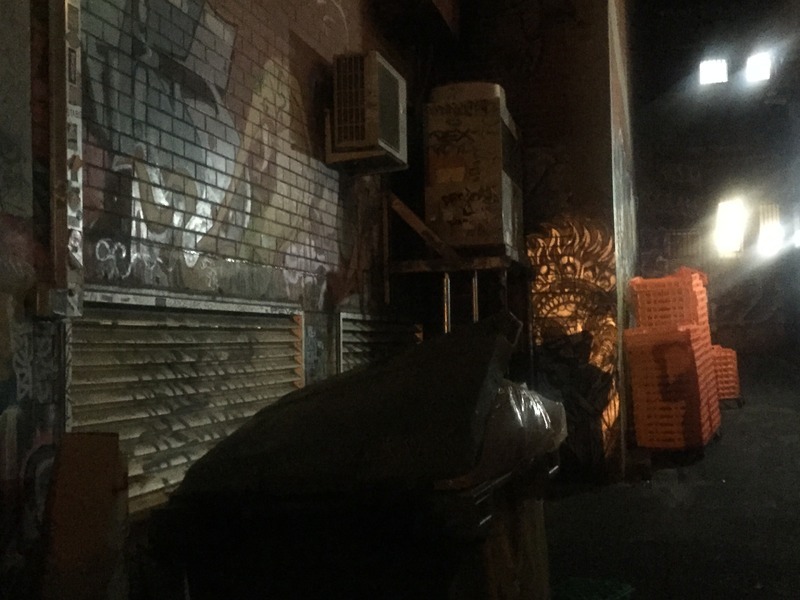 This reveals the important role of artistic style and material is shaping the way street art transforms throughout the day and night. By choosing a reflective paint, the artist has allowed their work to come alive at night. 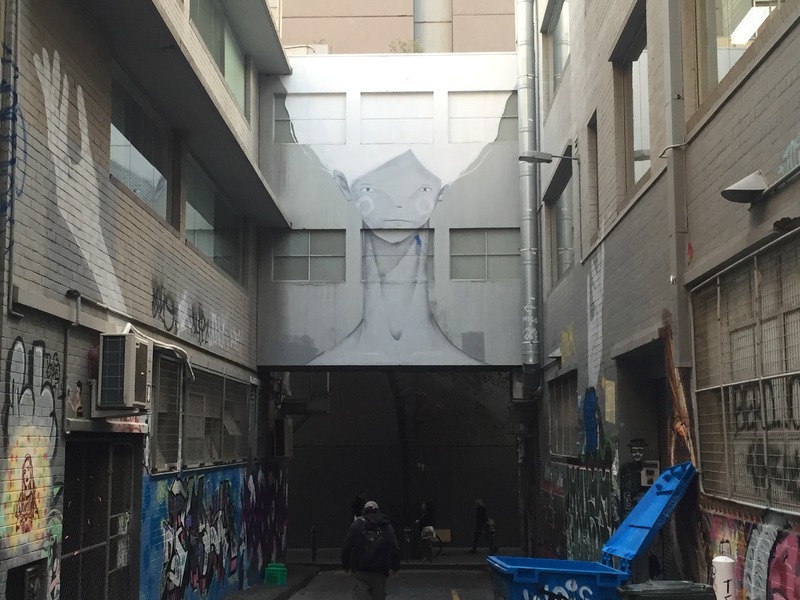 “Literature Lane,” Street Art deTours, accessed April 20, 2019, http://streetartdetours.com/document/1154.